Perseverance is one of humanity’s greatest qualities. With it we have overcome world wars, brutal genocides, plagues (pneumonic and bubonic), earthquakes, tsunamis, and famines. It is our luck then that this particular trait isn’t limited to humans as a collective — but rather it’s something found in each and every one of us. A famous story of an individual harnessing this remarkable human quality took place in the early 1900s in the north of France. It was there and then at the young and fragile age of three a boy named Louis irreversibly blinded himself playing with his father’s work tools. His story could have ended there. His life could have become something others had to manage, something he no longer controlled or commanded. He could have depended on the mercy, pity, and compassion of others, and no one would have blamed him. In fact, most probably expected that from him. But that wasn’t the life meant for Louis. 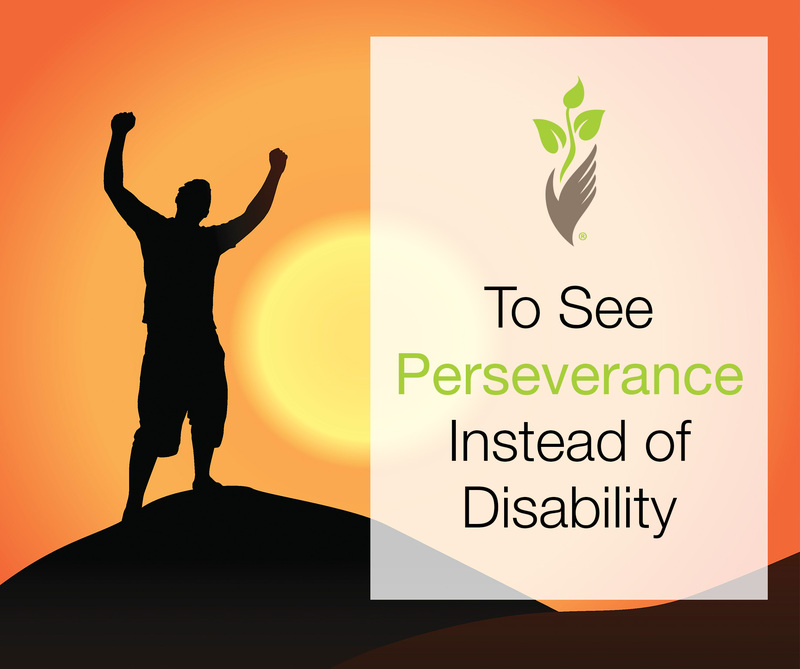 He was determined to persevere, because as far as he was concerned, his inability to see didn’t take away his ability to be – whatever that may be. Louis’ way of persevering was to create a way for the blind to communicate. So he took an existing system of bumps and dots called “night writing” — originally created for Napoleon’s grand army so they could communicate in the dark – and revised it and made it usable for the blind. It became hugely popular, the standard system for the visually impaired. That system came to be known as Braille, named after its creator, and the focus of our story, Louis Braille. What can Louis’ story teach us? Plenty, but my favorite take is that no one should be underestimated, regardless of their apparent disability. No one should be robbed of his or her potential or dignity. Even when we mean well, our biases or expectations can unintentionally belittle someone. Treat everyone as you would like to be treated. Think of the person first, not their disability. Don’t shy away from people with disabilities – relax and be yourself! Just because a person has a disability, they don’t necessarily need or want your assistance. Never help someone without first asking them. Avoid using labels when you speak – they are offensive to everyone, including people with disabilities. People with disabilities aren’t victims. It is also very disrespectful to pat people with disabilities on the head or talk down to them as though they were children.